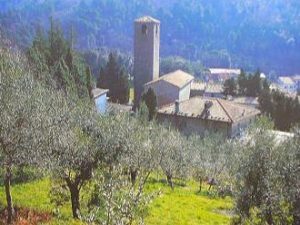 San Baronto's pretty village has always been a tourist attraction, especially due to its exceptional position, which makes it an ideal base from which to visit all the most important towns in Tuscany. At 349 metres above sea level, San Baronto is also known as the place with fine air, where the people from the Pistoian plain come to enjoy this fine air and to escape the warm city evenings. There is another important thing to remember about this area: San Baronto is the patron saint of Tuscan cyclists and the Montalbano pass is, so to speak, a must for local cycling enthusiasts and a very popular destination for the many cycle races that pass through it every year. So if you are organising a cycling tour, remember to visit us: we'll look after your bikes and, above all, see to it that you are refreshed after a hard day, with excellent food and wine from our hills! 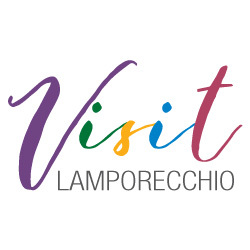 Vinci is located on the southern slopes of Montalbano, covered with vineyards and olive groves, that sweetly desend towards the inferior Valdarno. Ancient Castles and roman structures testify the strategic importance of these places in the medieval period, but is nevertheless the name of its more eminent citizen, the eclectic artist and scientist Leonardo was born here on the 15th of April 1452, making Vinci well-known in all the world and attracting tourists every year. 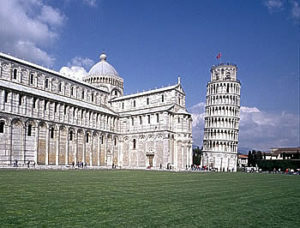 Pisa, town of ancient origins (VIII-VII century B.C. ), was established municipium after 89 B.C. and then around 30 B.C. a Roman colony (Obsequens Pisan Julia). Its prosperity depended on; its ideal geographic position in the center of maritime movement; fresh waters and fertile land, healthy hinterland offering a spacious agricultural range of products and from construction. 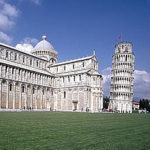 The ancient and medieval story of Pisa is tightly bound to the sea and to its activities. 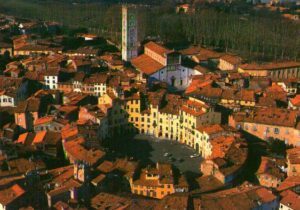 The hills that surround the town of Lucca are of an extraordinary beauty, not only for the presence of forests and of fertile slopes cultivated with mastery of vineyards and olives, but also because all the territory is spread over medieval blocks, castle ruins, towers and fortifications that tell its story. Placed in a Etruscan domain it was founded by Romans along the Arno. 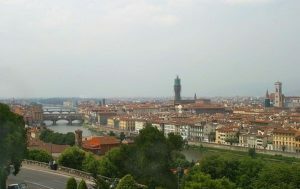 Florence reached its greatest brightness in the Renaissance between XV and the XVI century, when the artistic personality and thoughtful intellectuals around the court of the Medici marked indelibly the story of the west culture. 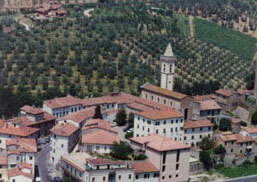 The towns artistic property attracts millions of tourists from all parts of the world.